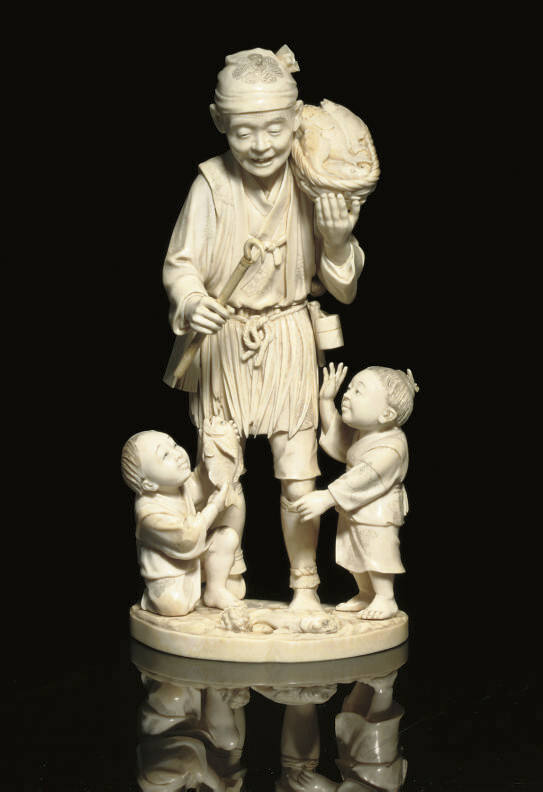 wearing a straw apron over his mompei, a ledger tied to it and his pipe case and tobacco pouch attached with a shell netsuke, he stands barefoot on a beach surrounded by hermit crabs, fish and two young boys at his side, he carries a basket filled with a variety of fish on his shoulder, and holds a hook in his hand -- 10in. (25.7cm.) high.